Is it possible to work the other way and have the O2 sensor failing in that it runs leaner instead of richer? On my Insight, I can get to both the sensors just by reaching down behind the engine. On your D17A, the exhaust is on the front of the engine rather than the back, so I'd expect it to be very easy. Just unplug the old sensor from the wiring harness (connector might be stiff), use a large crescent wrench to break it loose, unscrew and replace. It might be wise to put a bit of anti-seize on the threads when putting the new one in. As for lean vs rich, I'm not sure. The upstream and the downstream sensors are both really easy. Upstream is on top of the exchaust manifold and downstream after the catalytic converter. You need a wrench and hands. The ratchet or wrench should be of the open type, like a crowfoot. Careful removing the clips for the harness, which are close to the sensor itself. The plastic gets brittle. You DEPRESS the tab to release the lock on the connector. You do not pry it loose. You have the manual? Seems fairly easy. Should I replace it now or wait until later? My second trip today was 49.9 mpg (day average of 49.2 mpg) so it really isn't affecting my MPG....still want to know how I got only 29.4 mpg on that one trip yesterday.. I have the basic user manual, but not the in depth repair guide manual though. The Denso O2 I bought for my D17A had a little squeeze packet of the copper colored high-temp anti-seize in the box with the sensor. Well that route last night is known to get really bad mpgs (I never got above 30 before hypermiling) and I usually get in the 30s (I did get 45 once) but 29.4 is just terrible. O2 sensor isn't dead yet; I managed 48.5 mpg for the first half of my driving today. And yes my car does the same thing - one moment I'm cruising at 55 mpg and the next it jumps to 65 mpg without any change in elevation or anything. There's one stretch where I can average 70 mpg for about half a mile on completely flat terrain both ways. That sounds complicated. I might consider that but for the most part I'm happy with the MPGs...except for those occasional bad trips...but 29.4 last night lol...I could go 80-85 mph and get that. I drive my Civic about 25 miles daily so taking off the road for longer than a few hours isn't really practical. I thought about it and I'm still considering my SG2 to be lying to me until I calibrate again. I'm at 290 miles on this tank and I've used just the first tick-mark past a half tank of fuel. If that's about 6 gallons, I'm at 48mpg right now. Won't know for sure until I fill up, but I'm hoping! I ran a bottle of Redline SI-1 into this tank before filling up, so I'm wondering if it helped to "clean" combustion chamber/valve/injector deposits which are helping to free up some extra MPGs. 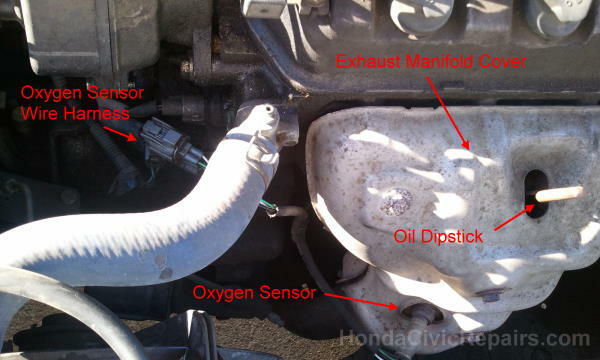 Have you run any fuel system cleaner through your Civic since you've gotten it? The download links on the site didn't work for me. The fuel tank is 12 gallons used right on E (1.2 mile reserve). One tick past halfway is 11/20 marks, so theoretically you've used 6.6 gallons. 290 miles on 6.6 gallons is 43.9 mpg. However this estimate is generally 1-1.5 mpg optimistic for me at fill up. Like my tank now per Torque shows 45.2 mpg (and Torque has been within a quarter of a mpg accurate) when if I base it on the gas gauge it'd be closer to 47 mpg.